Okay, so right now you are probably either trying to figure out the punchline or you’re cleaning your glasses. I kid you not. 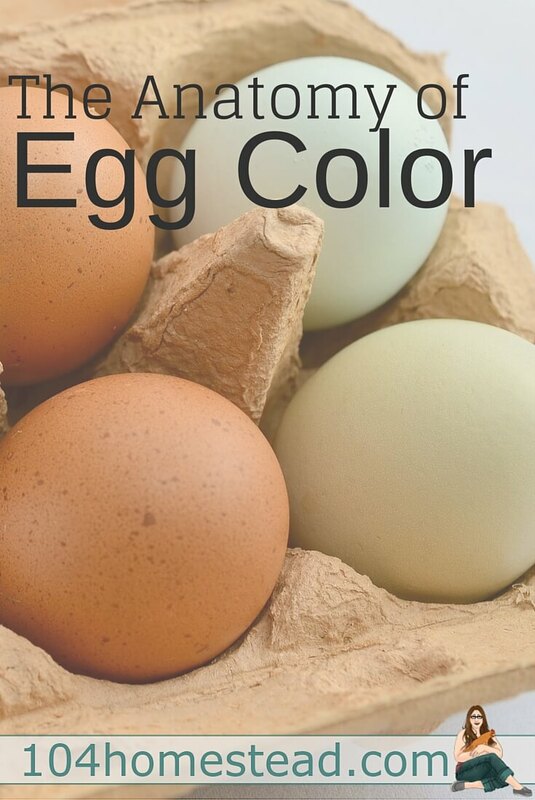 The eggs in the picture above are only two colors. White and blue. 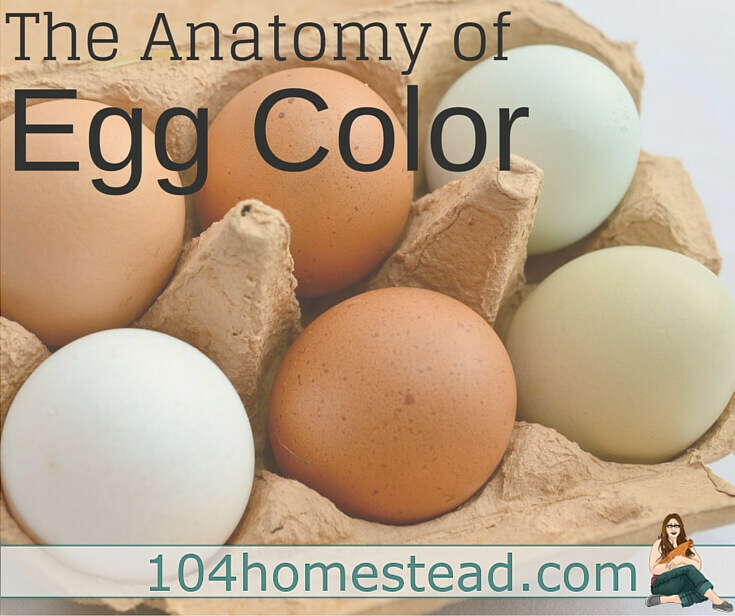 In fact, at their core, all chicken eggs are white or blue. But what about the brown and green ones? What about purple and pink? Before we get into how all the color shades are made, first we have to delve into a bit of chicken anatomy. Each egg takes a twenty-six hour trip down the oviduct. Twenty of those hours are devoted to shell formation. Two hours are travel. The egg is colored in the final two hours before being layed. In some chicken breeds, a pigment called protoporphyrin is slowly added to the shell as it travels down the oviduct. Protoporphyrin is brown colored. Depending on the breed and the chicken itself, the coating will be light, dark or somewhere in-between. Protoporphyrin does not penetrate the shell. It only tints the surface. It can be washed off (leaving only a bit of staining with really dark eggs) or it can be sanded off with fine sandpaper. If your eggs have a mottled appearance, there was the addition of porphyrins as well when the egg was making its travels. Don’t be grossed out, but porphyrins are actually produced by the breakdown of red blood cells. The blue egg shells come from a pigment called oocyanin, which is a byproduct of bile. Some researchers believe that this byproduct was triggered by an infection long ago. Okay, so now that we know the science behind egg color, let’s take another look at my eggs. We’ll start with the easy ones. The ones that appear blue and green. The blue egg comes from an Ameraucana. The green egg comes from a Silkie (brown egg layer)/Ameraucana. The Silkie mix would be deemed an Easter Egger. Now this is where it gets exciting. This next photo shows a white egg from my Brown Leghorn. The photo next to it is from my Marans (a chocolate-brown egg layer). Even with that rich, dark brown coloring, the interior is white. Notice how the interior of both the white egg and the brown egg is a creamy white? Want to test this theory out on your own eggs? 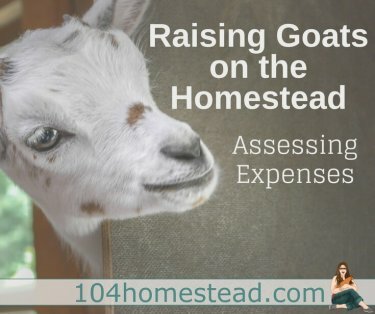 It’s a fun experiment for kids and grownups. After cracking your egg, slowly peel away the membrane inside. Rinse the egg interior thoroughly with warm water and allow it to dry. For even more fun, try rubbing away the pigment on the outside of the egg with your finger, a wet cloth, an eraser or some fine-grit sandpaper. See if you can get the shell back to its base color. If you have wanted a particular hue in your egg basket, I’m going to let you in on the secrets of making it happen. Next week we’ve got: The Science of Creating Egg Color. What’s your favorite colored egg? Comment below! Not that I can condone illegal activities, BUT getting chickens was the best homesteading-related decision I have made. I think it’s amusing how THOSE are the people who complain. The only noise complaint we’ve ever received was from a neighbor with four chained up dogs in his yard. Every car, bicyclist and walker set those dogs off. I had a hen with hormonal issues who would abandon her nest and run around frantically squawking and he complained. It hardly compares (PS: We decided she shouldn’t brood anymore. She isn’t mentally stable LOL). Our chickens have laid their first eggs. I have received 9 eggs in 10 days from 6 hens … not too bad, given this is my first go at raising chickens. I hope it never gets mundane for you. I still feel like it’s Christmas morning when I got to collect eggs despite how long we’ve had chickens. Each one is cherished.